More than 375,000 in print! 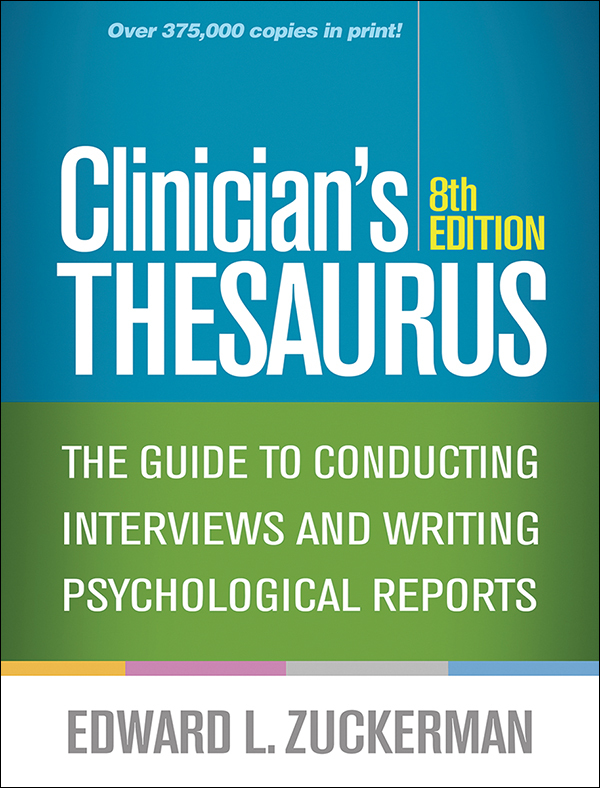 Hundreds of thousands of students and early-career professionals have relied on this authoritative report-writing tool, now updated for DSM-5/ICD-10-CM and newer types of evaluations. In a convenient large-size format with lay-flat binding, the book covers nearly all areas of concern addressed in intakes, evaluations, treatment plans, progress notes, and closing summaries. 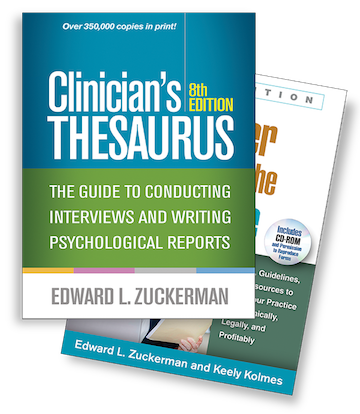 The user seeking the right wording for a clinical document can skim and select from thousands of technical terms, behavioral descriptors, and standard statements. Also provided are interview questions for almost every symptomatic behavior, a huge collection of mental status questions, a reproducible Mental Status Evaluation summary form, and links to hundreds of Internet resources. The periodically updated companion website offers all the URLs from the book, the reproducible forms, and a handy reference on current psychiatric medications. A unique list of all psychiatric ICD-10 diagnoses (all of the codes in DSM-5, plus many more), including Z codes essential to a comprehensive biopsychosocial evaluation. Sample evaluation report keyed to the book's chapters. Sections on additional clinical issues: intimate partner violence, gender identity, human trafficking, recovery-oriented language, and more. Many more Internet links, including a wide variety of screening and assessment tools. See also The Paper Office for the Digital Age, Fifth Edition, by Edward L. Zuckerman and Keely Kolmes, which provides the essential record-keeping and risk-reduction tools that every psychotherapy practice needs.